It was an amazing 2 weeks. It was amazingly 2 weeks. Totally only felt like about 4 days. 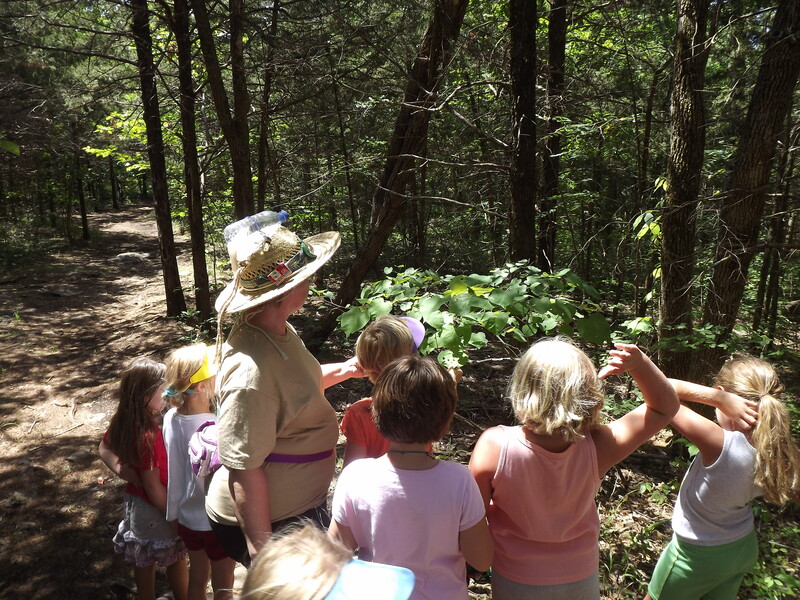 I helped with the Trailblazers (going into 5th and 6th grades) Campcraft activity week 1. 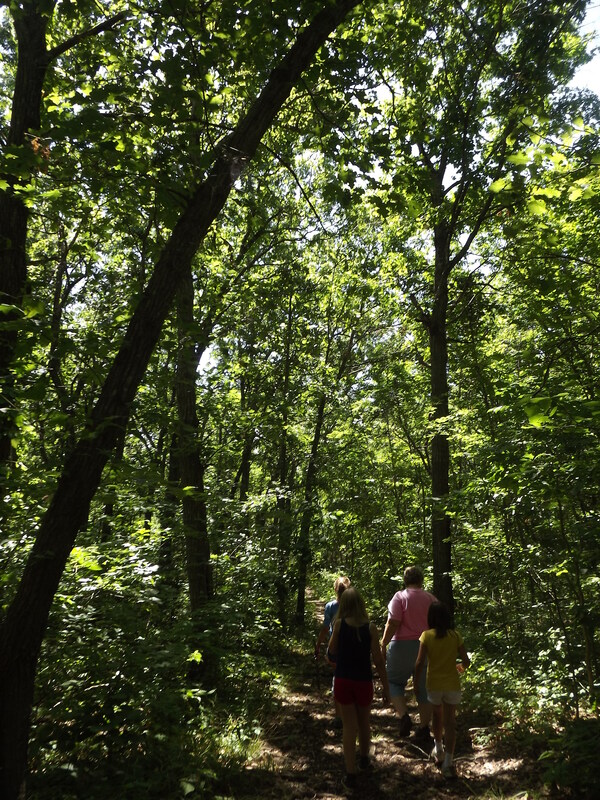 One day we went on a hike to try to find and identify poison ivy. It was surprisingly hard to find, the trail was very well kept up and sprayed I guess. We worked with knives carving soap, we built fires, we built a rain poncho shelter, we made a backpack out of a pair of jeans and made a lot of memories. 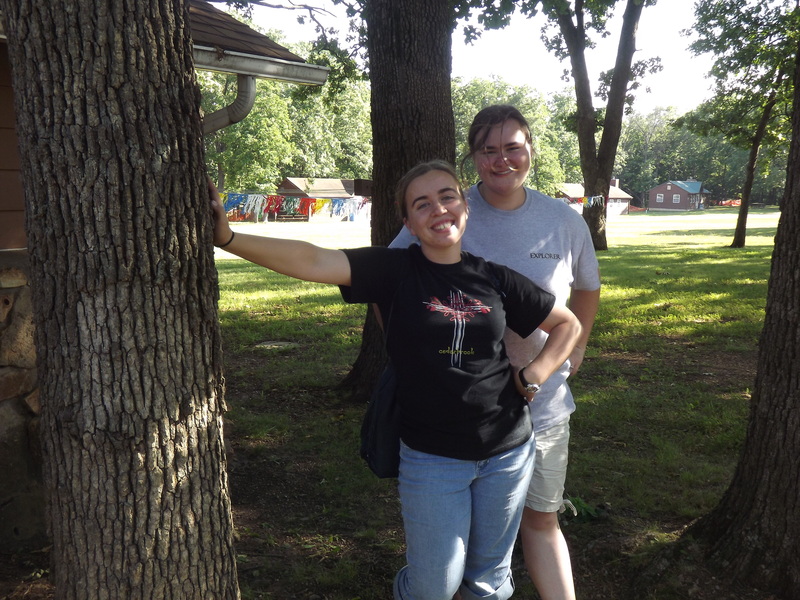 After Campcraft was Gardening with the Pathfinders (going into 2nd-4th grades). This was a fun group of girls who loved to sing funny songs about animals. 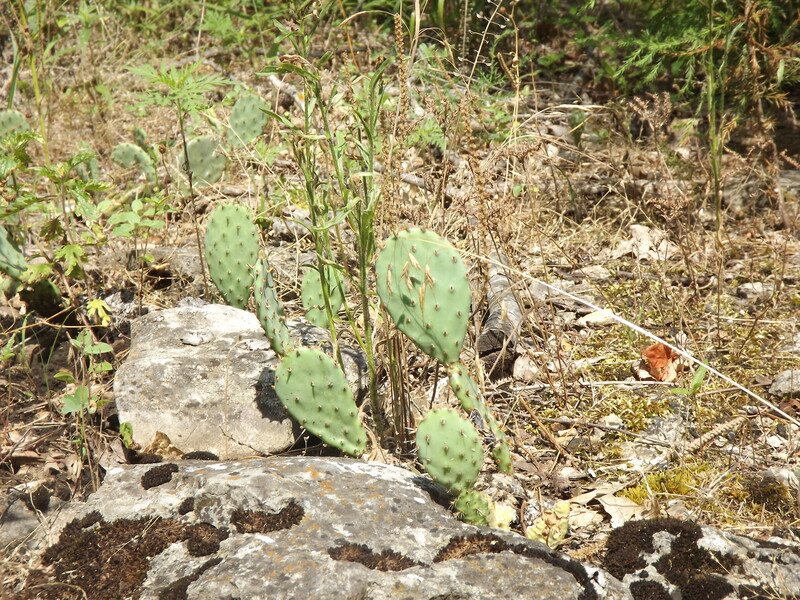 We found a Prickly Pear on one of our nature walks. 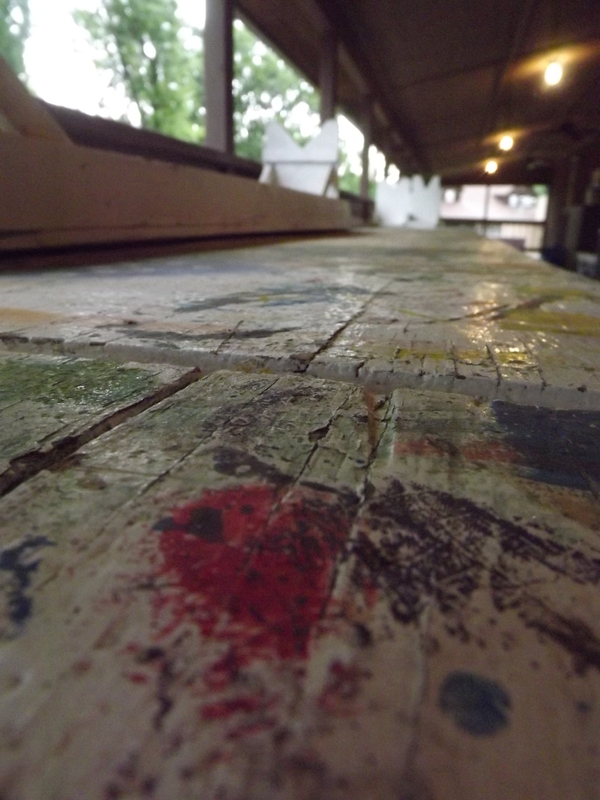 While I waited for the girls on the back porch of the Rec Hall, I took pictures of the cool paint splatters on the craft table. 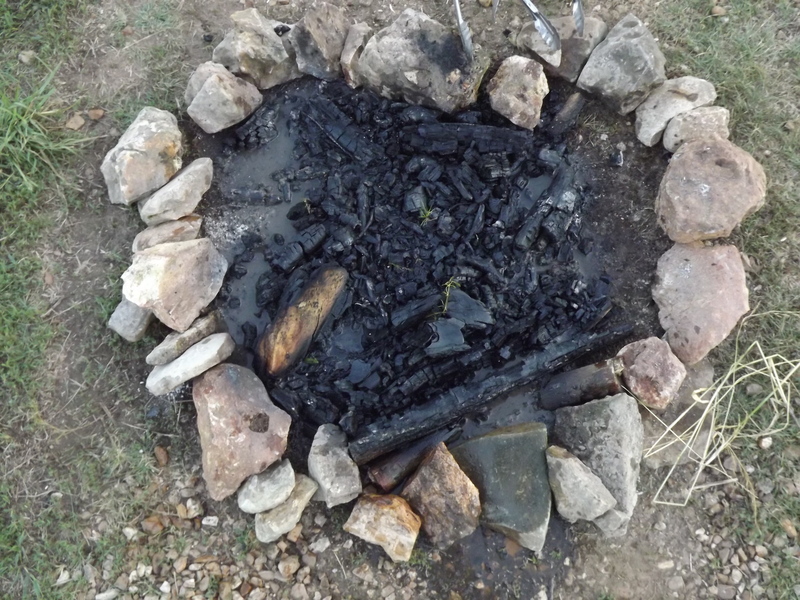 When my cabin had our cookout this is what our fire ring looked like. Only very slightly altered (like one rock bumped in a bit). 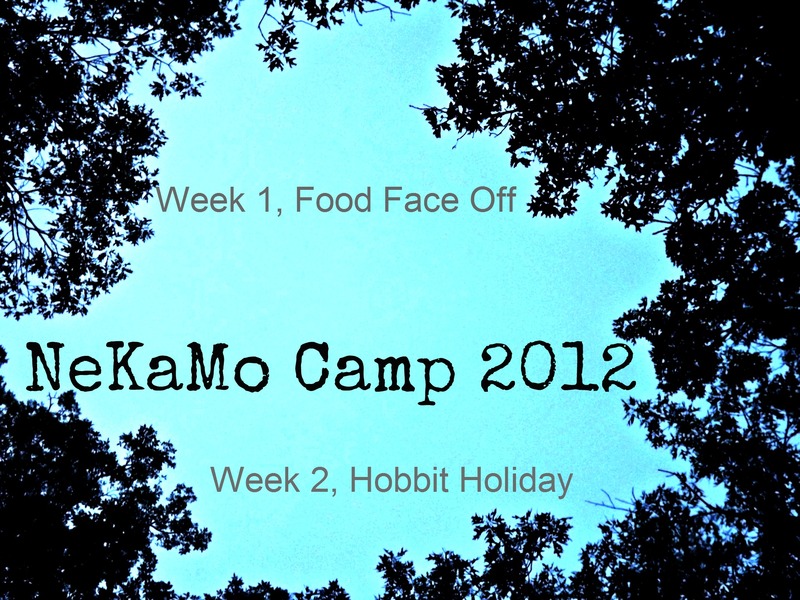 For All-Camp activity we had a little Iron Chef type thing. It was pretty awesome! Over the weekend the weekend stay-overs went to the laundry mat in town. This was in the lot next to the mat. I had to take a picture of course! 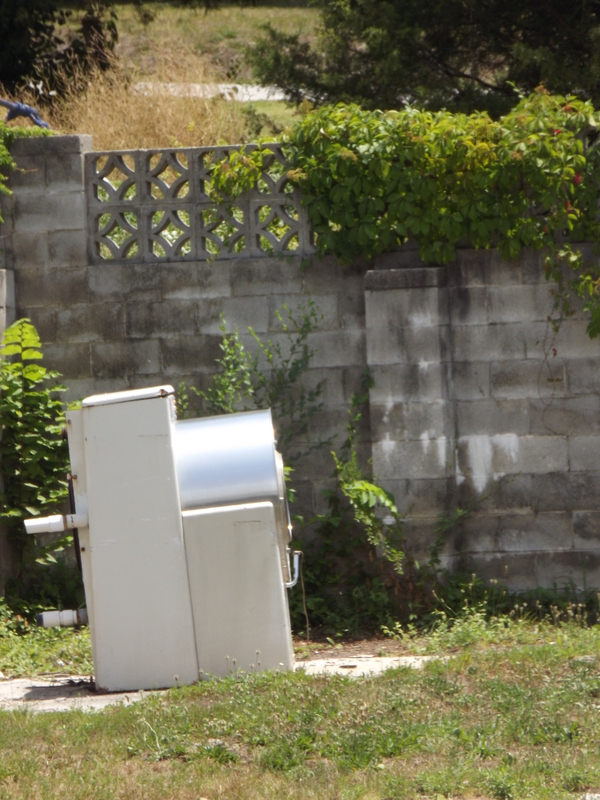 How often do you see a washer out in the open like that? it reminds me of my Great Grandmama who had a tomato plant in a toilet and radishes in a sink as well as many other plants in many other interesting containers. 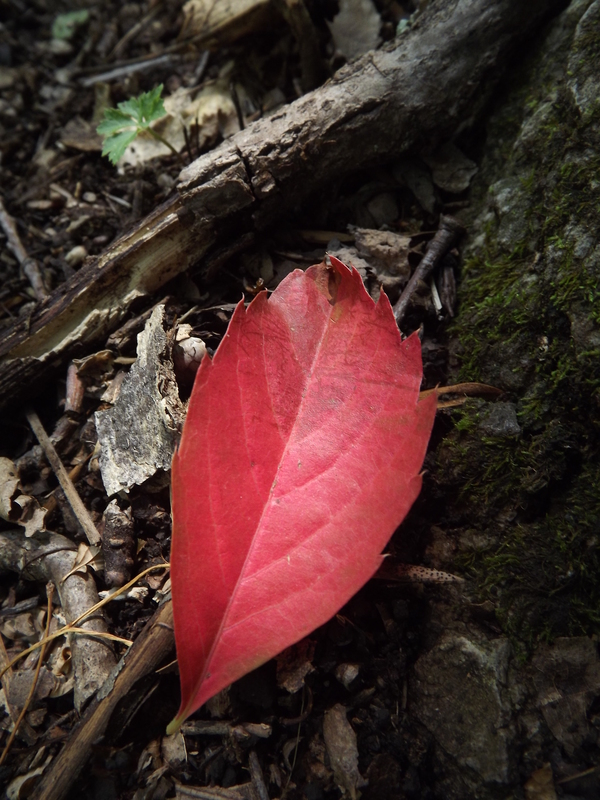 While working on putting together a guide for one of the trails we came across this wonderfully red leaf. 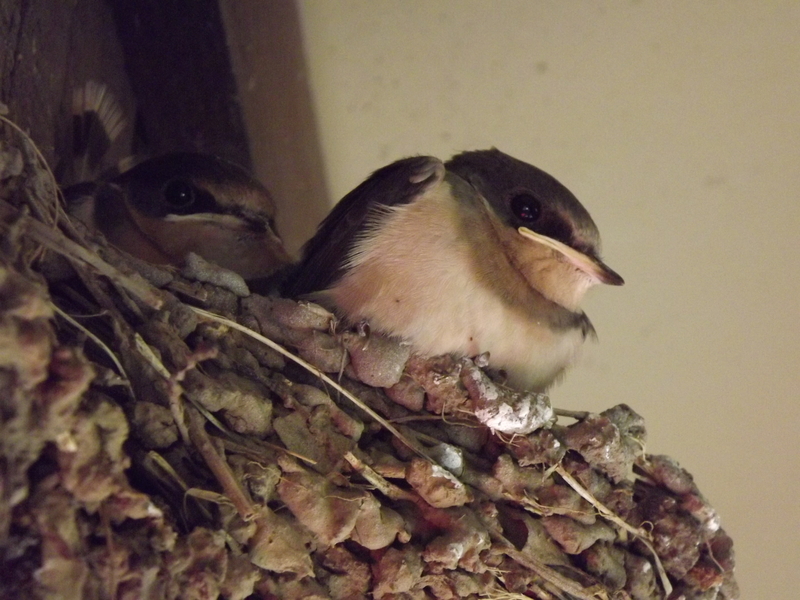 There were two barn swallow nests in the Tuck Shop (a place to get snacks and tshirts ect during free time). They flew away about a week apart, and I missed both of them. When we got to camp the first week the first nest looked like this and this nest looked like scrawny ugly little chicks, but by the beginning of the second week nest #1 was empty and nest #2 looked all cute and ready to fly :). 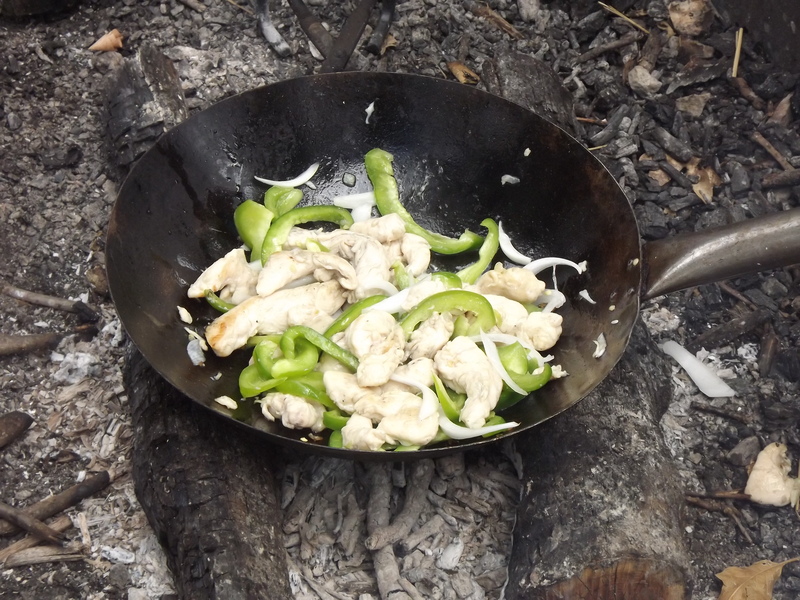 Second week I was in Advanced Outdoor Cooking. I’m not really sure what I was doing. At times I think I was assisting, and others I was not. To name a few of the main dishes we made pancakes, enchiladas, lasagna, chicken teriyaki , pork loin, and yes, be jealous. Be very jealous. Chicken Fajitas. It was all amazing. We even made rice over the camp stove. Yeah. It was awesome. My mouth is watering. This is a bug we found during Bible Ex (cabin Bible study). 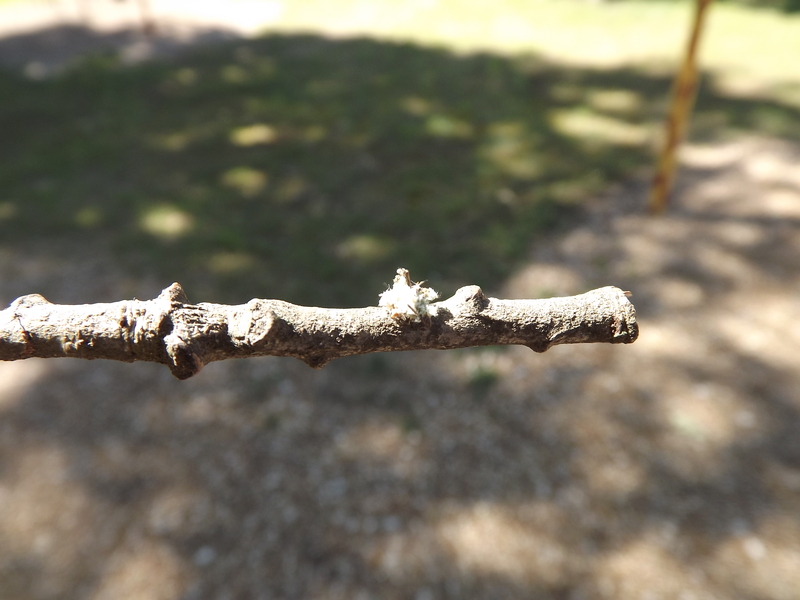 It looked like a piece of lichen or lint with legs and a head. Strange bug. I brought it to Rufous to see if she could identify it (she’s the camp nature guru), but she couldn’t! Come to find out (after a quick google search back at home) it was a Lacewing Larva. They stick stuff on their backs for camouflage. Learn something new everyday. Me and my awesome friend and fellow fire meister KT! Love ‘er to bits! And finally, at the end of my last 2 weeks, and a year of hard work and stress, I graduated from CILT. It was a huge Growing time for me. 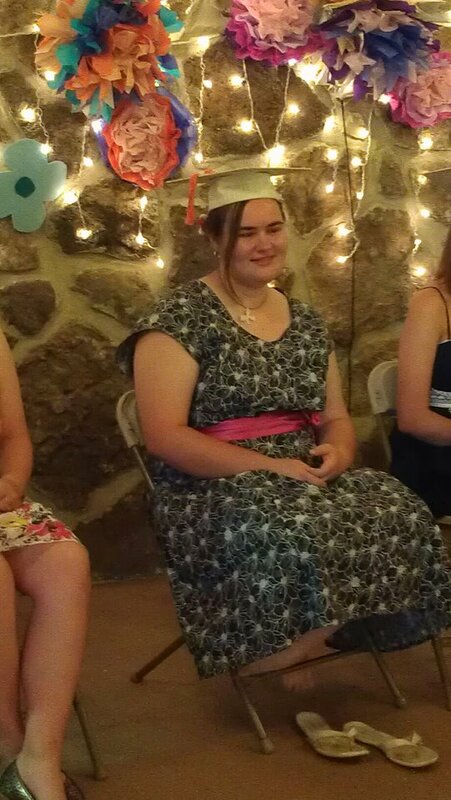 I had to explode my comfort zone and not only teach Bible Ex to a cabin of Trailblazers (which wasn’t as hard as I thought), but I also shared my testimony somewhere around 3 times. Once with my counselor (my very first time ever, we were on the pond in a canoe. It was a very peaceful, sweet time. ), then with my cabin, then with the CILT class (5 of us plus the leader), and then in front of the whole camp plus the CILT’s families and guests. I have taken on the name of Pigeon as my bird name. I chose it for 2 reasons; 1) it’s cute and can easily be shortened to Pidge and 2) because it reminds me of my Daddy. 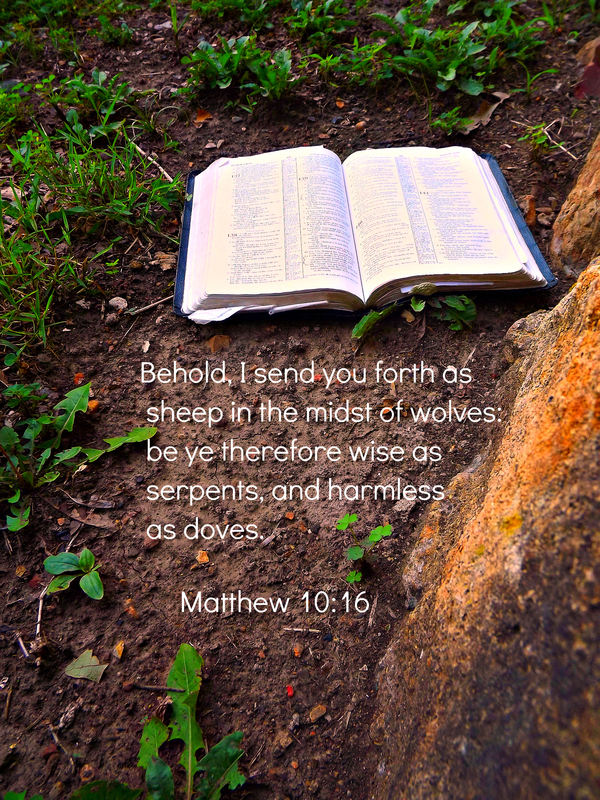 Every night when he prays for us and tucks us in he prays that we would be “wise as a serpent and harmless as a dove” taken from Mathew 10:16. This, (as well as “remember who you are, and who’s you are”)is a saying of his that has really stuck in my mind. In pouring through bird books I noticed that pigeons and doves are pretty much the same thing, but a pigeon is usually bigger. I like to think of them as humble doves, which is what I hope to be. 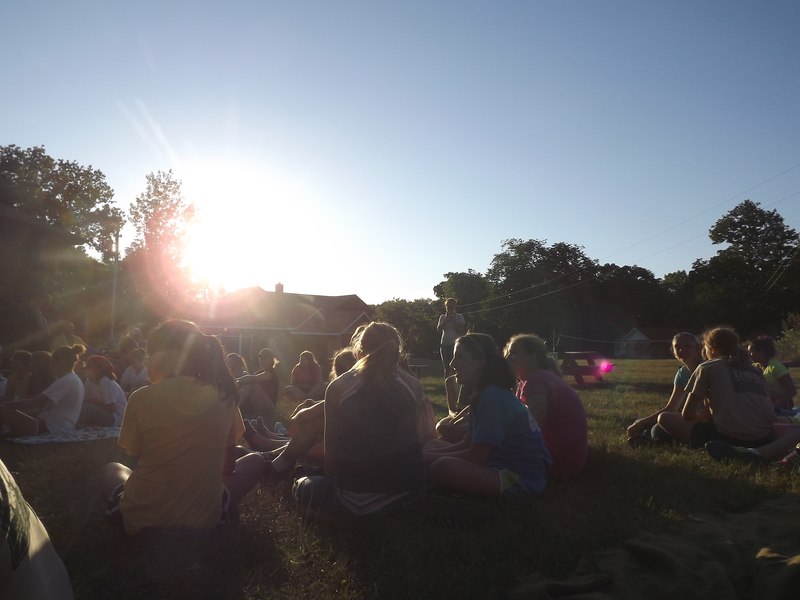 It is really sad to not be a camper anymore, but it does feel right. I have been given so much from this camp, even in 3 years. Now it’s time for me to give back. It is my prayer for my years as a counselor for both me and my girls that we would be wise as serpents and harmless as doves.